There is a song on Jay-Z’s latest album entitled ‘Tom Ford’, and in said song Mr Z raps the line; “I don’t pop molly, I rock Tom Ford.” Well much like our good friend Jay-Z, I too am not one for recreational drug use and also have somewhat of a penchant for the offerings of American fashion designer Tom Ford – who knew we’d have so much in common? Unfortunately that is where the common ground ends and unlike Jay-Z I do not have the adequate finances to rock any Tom Ford clothing (oh but how I wish I did), however my budget can certainly stretch to the designer’s olfactory offerings and like many others I have found there to be a number of sniff-worthy perfumes residing within the Tom Ford corner of the department store. The Atelier d’Orient Collection is inspired by; “the sublime beauty, enigmatic sensuality and exquisite luxury of Asia” and each of the four fragrances within the collection are reported to contain; “ingredients that have treasured prestige in the Orient.” Speaking of the collection, Tom Ford states that each fragrance captures a distinct mood – “captivating romance, colonial elegance, luxurious exoticism and rich mysterious sensuality” – with each serving as a perfect representation of the bold Tom Ford aesthetic. There’s a beautiful moment in Tom Ford’s cinematic rendition of ‘A Single Man’ where the protagonist (expertly played by the dashing Colin Firth) surveys a female colleague, deeply breathing in her scent before uttering a single word; “Arpège”. Fleur de Chine is this moment captured in perfume and much like the scent from which it takes its cues Fleur de Chine is an absolute showstopper. Fleur de Chine opens with a heart-stopping swirl of aldehydes and citrus, instantly conjuring up the image of a classic, old-school perfume worn by a vampish movie star of the golden age – you know the kind of perfume I mean, the type often lamented by perfume-lovers in a cry of “they don’t make ’em like this anymore”, but it turns out that they most certainly still do. The ‘fleur’ part of Fleur de Chine is a rich, heady and intoxicating blend of white flowers that gives the impression of a big bouquet of pollen-filled blooms a day or so before they give in to decay. The effect isn’t as nearly as ripe as that seen in Lanvin’s Arpège but Fleur de Chine very much captures the spirit of the classic in a contemporary and more translucent manner. The base is warm, creamy and a little bit dusty with herbal and almost nutty undertones. A stripe of vetiver cuts through the softness to give the impression of a slightly cruel, unforgiving heart hiding amongst the vivacious beauty. 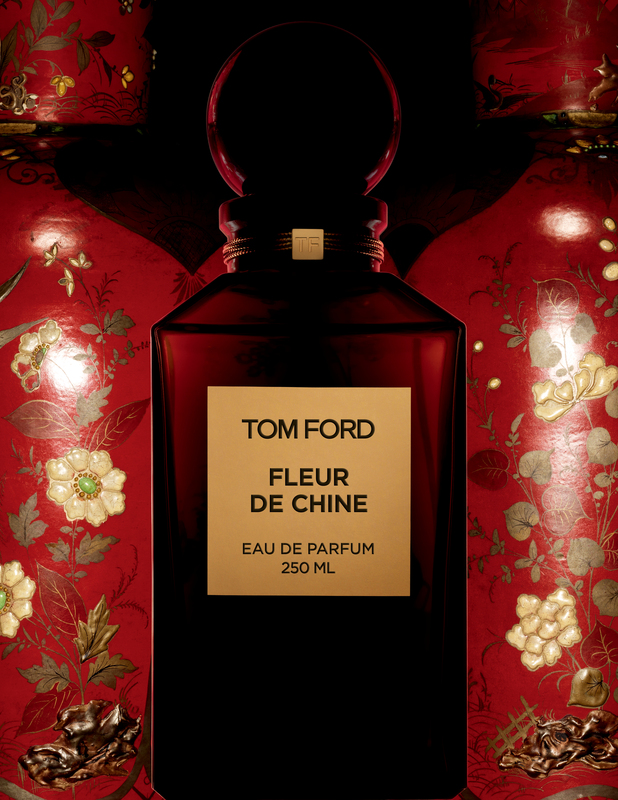 In the contrasts between the top, heart and base notes, Fleur du Chine casts itself as a truly complex character. Fleur de Chine is an utterly glorious perfume and it totally hits the mark in terms of “fascinating, exquisite and slightly scandalous femininity”. It thoroughly deserves to be worn by a true, Oriental glamazon, dressed in the finest of silks, wearing the boldest of make up and stoically smoking a lone cigarette. Shanghai Lily takes inspiration from the silk and spice routes of the orient so it’s no surprise that it is a rich and intense perfume littered with precious flowers, spices and woods. The greatest surprise will in fact be the revelation that it really isn’t a lily fragrance at all – instead it is an abstract floral bouquet quite unlike anything else seen before. Heady, waxy lilies; sharp jasmine; rubbery, sweet tuberose; and dry, clove-y carnations are perfectly arranged to create a highly diffusive and addictive scent that feels gloriously thick and luxurious. It would be fair to also call Shanghai Lily ‘tenacious’, and it is, but its tenacity isn’t brash or abrasive, instead it displays a beautifully bold silkiness that really is quite something to behold. As it dries down Shanghai Lily becomes much creamier with vanilla gaining a greater presence with time. The vanilla itself is rather dry in terms of sweetness with hints of coffe, meaning that the spicier nuances of the flowers – the clove in particular – are ever present right until the very end. Hiding just beneath the florals and vanilla is a thin veil of milky, animalic notes reminiscent of the sour, condensed milk note of Penhaligon’s Amaranthine, which gives Shanghai Lily a human warmth that merely hints at hot, stuffy nights and naughty fumblings beneath expensive oriental sheets. 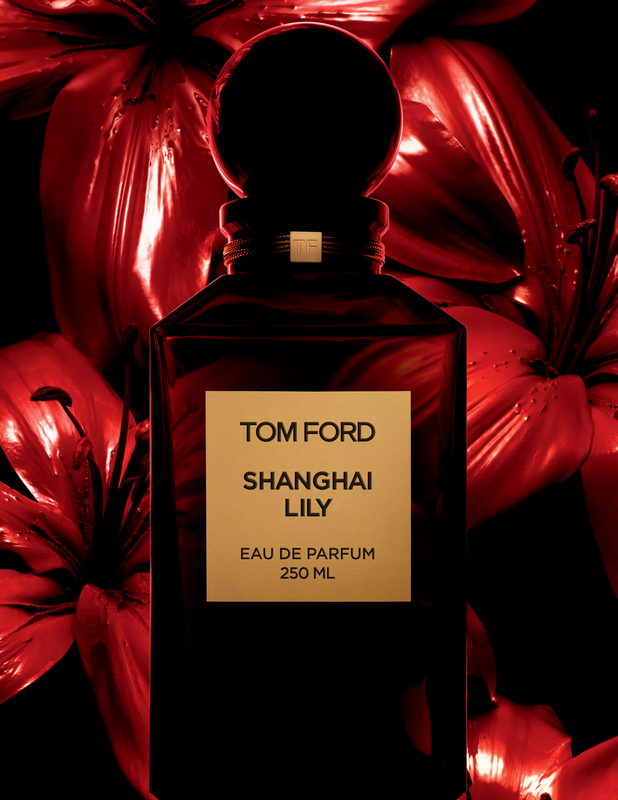 Shanghai Lily is the star of the collection – a truly unique, beautiful, challenging and beguiling perfume that captures both the mystery and history of the Orient through spices, flowers and resins. I honestly cannot think of anything that smells like it and it definitely joins one or two other launches as being the most exciting perfume released this year – if you only smell one perfume from the Atelier d’Orient collection, make sure this is it! 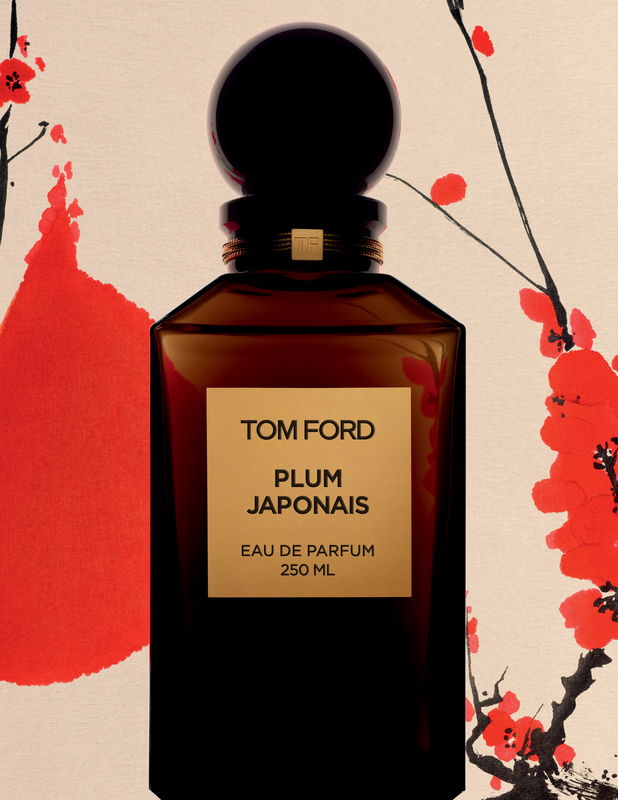 Plum Japonais, in a similar vein to stable mate Fleur de Chine, is a riff on a famous composition but rather than taking on the classic floral tones of Arpège, Plum Japonais tackles the stewed fruit and strong woods of Serge Lutens’ (formerly made by Shiseido) classic Féminité du Bois. A complex melange of spices greet you upon first sniff, with a whirlwind of cinnamon, pepper, clove and saffron giving a great range and depth of textures that are appropriately nose-tickling. The spices are accompanied quickly by the ume plum note, which is at once sour, sharp and juicy casting a soft mauve light onto the skin. Much like Féminité du Bois, Plum Japonais contrasts the chewy texture of purple fruit against sturdy woods, but whereas the Lutens focuses on the spicy softness of cedar wood, Plum Japonais showcases woods that are more smoky and intense, creating something that all together smells quite like plum-scented incense sticks. Plum Japonais feels like a tribute to a classic rather than a complete rehash (lets call it an homage) and it is distinct enough to stand on its own two feet, with the smokier notes giving it something entirely different from the linear plushness of Féminité du Bois. It’s a very credible fragrance and it already seems to have found many fans but given the choice I would definitely opt for the Lutens – for me, it simply cannot be beaten. Bergamot, Lemon, Bitter Orange, Tarragon, Cardamom, Moroccan Spearmint Oil, Benzoin, Pear Wood Accord, Cognac Oil, Tolu Balsam and Amber. Rive d’Ambre possibly sticks out amongst the others in the Atelier d’Orient collection simply because it is the least heavy, dense or spice laden perfume in the bunch – in fact it is positively refreshing and effervescent in comparison. Opening with a mouthwatering blast of zesty orange, mandarin and a sprinkle of powdered bergamot, Rive d’Ambre is a sparkling and almost drinkable citrus cologne in its opening stages with a nice balance between the bitter and sweet facets of fruit – but it isn’t just a cologne – in fact it is so much more. Sitting just beneath Rive d’Ambre’s surface is a palpable layer of sweet, gauzy benzoin which adds to the proceedings a comfortable bed for which those thirst-quenching citrus notes can bounce off. As the citrus dies down the benzoin becomes richer but it never transforms in to a fully-realised amber accord (there is no creamy or plush vanilla to bolster it), meaning that it keeps the spirit of the cologne alive. Rive d’Ambre is a delightful perfume that takes the age-old style of cologne and turns it into something warmer and deeper. 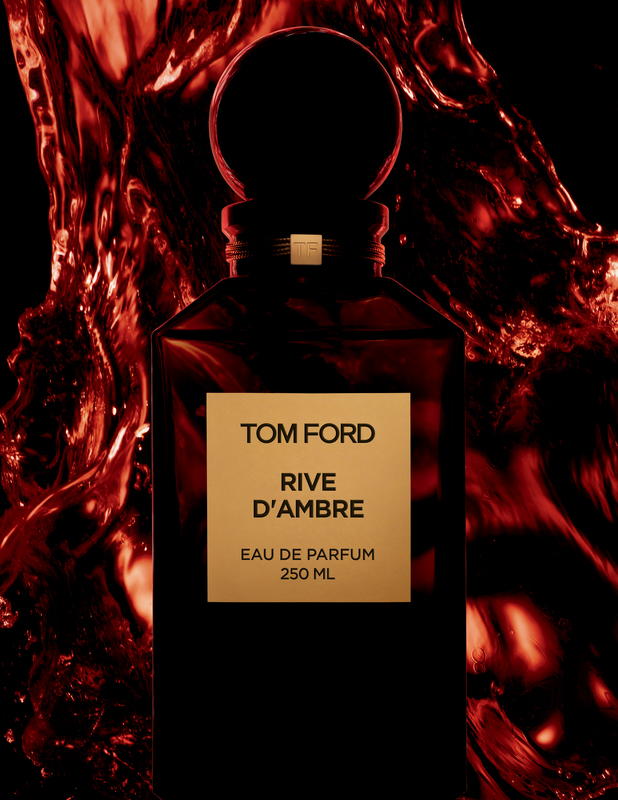 The keen sniffers amongst you may notice that it is a kindred spirit with Hermès’ Eau de Manadarine Ambrée (a perfume I will get round to reviewing some time soon), and it isn’t far off, however the latter feels richer and altogether more fleshed-out that the Tom Ford. Tom Ford’s Atelier d’Orient Collection is part of the exclusive Private Blend line, available only in select department stores. Each perfume is available in 50ml (£140) and 250ml (£320) Eau de Parfum. Samples, notes, quotes and images via Tom Ford. Posted in Amber, Cologne, Floral, Fruity, Oriental, Perfume Reviews, Tom Ford, Unisex and tagged A Single Man, Amber, Antoine Maisondieu, Atelier d'Orient Collection, Cologne, Fleur de Chine, Floral, Fruit, Jay-Z, Olivier Gillotin, Oriental, Perfume Review, Plum Japonais, Private Blend, Rive d'Ambre, Rodrigo Flores Roux, Shanghai Lily, Shyamala Maisondieu, Spice, Tom Ford, Yann Vasnier. Bookmark the permalink. 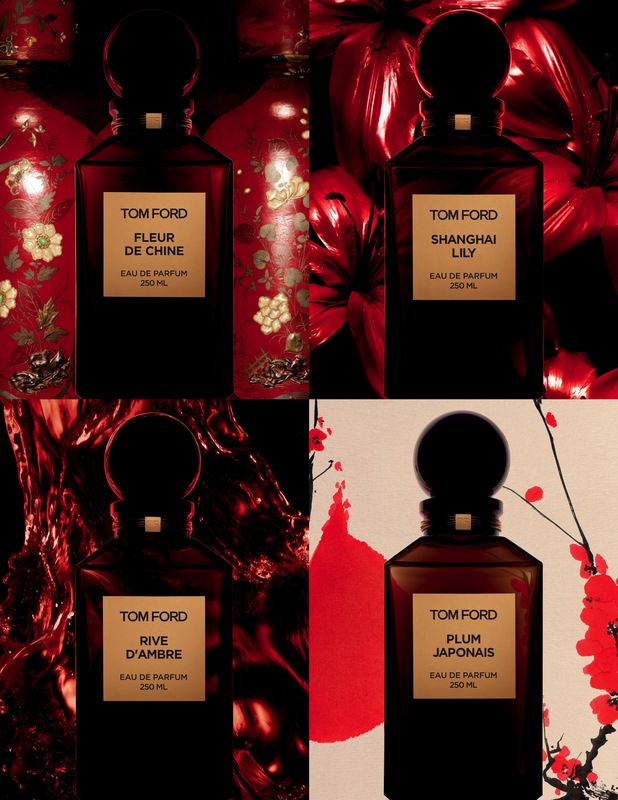 How great that Tom Ford didn’t go down the pale, watery perfume route that most brands take when trying to reflect – or appeal to – “the Orient”. I am love with Eau de Manadarine Ambrée so look forward to your review of that. I totally agree Tara and these are anything but pale! ugh, with the Arpege comparisons you are making me fear I will really love Fleur de Chine. Too bad I’ll probably never run into it! LOL. Apologies! Do try it if you do run into it – it’s beautiful! I’ve read elsewhere that these are the kind of watered down ‘pale pallor perfumes’ that many brands launch in a bid to grab the attention of ‘The Orient’… yet what you describe here is utterly different and quite compelling. Selfridges in the morning I think! Funnily enough that is the exact opposite of what these are. They are refreshingly bold for ‘orient inspired’ fragrances that, as you say, are often pale (I’m thinking of the Kilians specifically). Most definitely will for my curiosity is piqued by two of the most diametrically opposed reviews I’ve ever read. You two should join forces, Dandy Candy Perfume Boys!